Happy New Year, everyone! 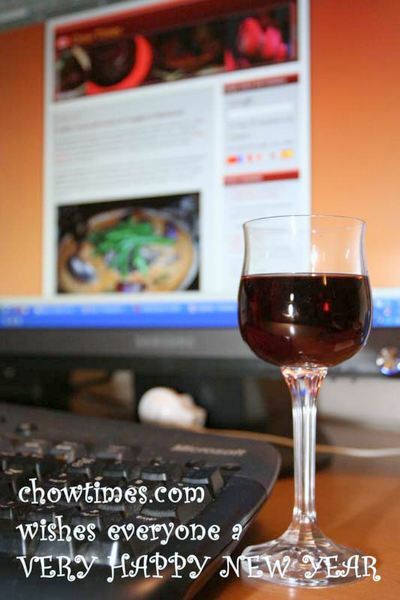 It had been a great year blogging on our food adventures. For those who had taken interest in our blog, thanks for all the feedback and support. Here is wishing you joy and happiness as another year begins … with cheers and love from Suanne and Ben. 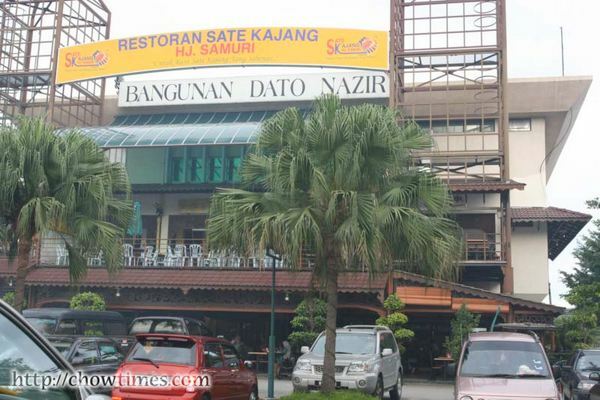 Updated: 20th Jan 2015; This restaurant is closed. So Allie had decided that her last day in beautiful Vancouver would be Christmas Eve. Helen and I promised to treat Allie to a farewell lunch before she leave for Korea. 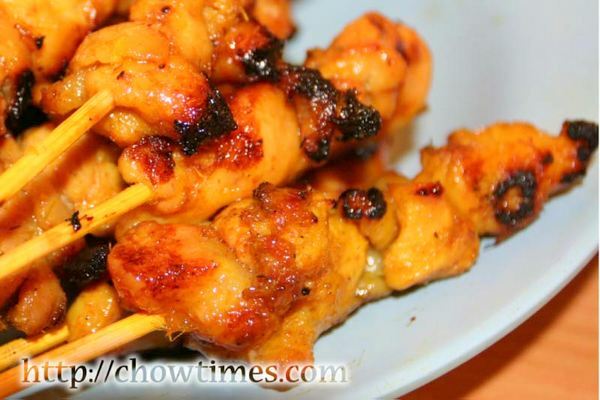 I wanted to introduce to her Malaysian food which she had never tried before. We went to the Tropika Restaurant in Aberdeen Centre in Richmond. 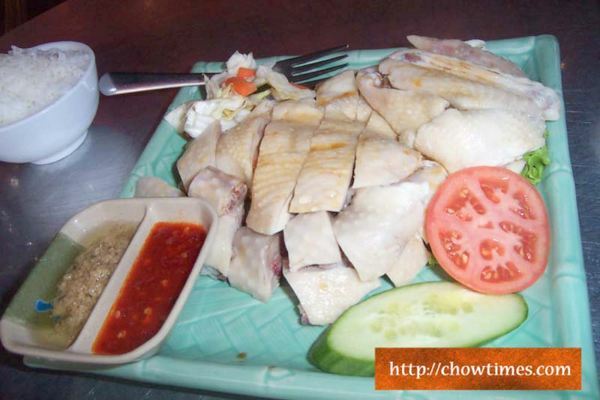 Tropika is a chain of Malaysian cuisine restaurants in Vancouver. 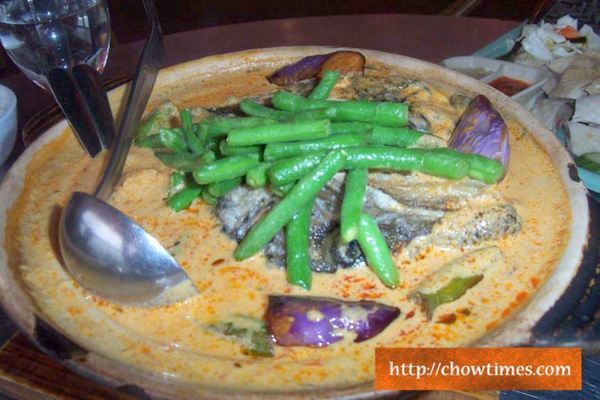 I ordered the Malay Curry Fish Head Hot Pot. 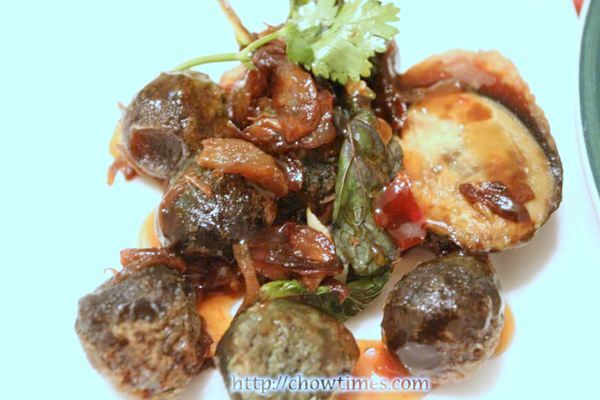 This is a curry dish with fish head, long beans, eggplant and tofu puff. It is very rich and creamy. The gravy goes best with steam rice. Helen was afraid to eat try the fish head but she liked the gravy. I know, not many people can stand the thought of eating a giant fish head. Allie liked it though. This dish costs $14.95. Allie passed me a jar of M&M Cookie Mix because she said she does not like baking. She told me that most of her baking came out not so nice and that I make such nice cookies. She joked that she does not have an oven as good as mine! So, I took her cookie mix and baked the cookies for her instead. I am glad she likes them a lot. Come to think of it, Cookie-Mix-In-a-Jar is a great gift idea. 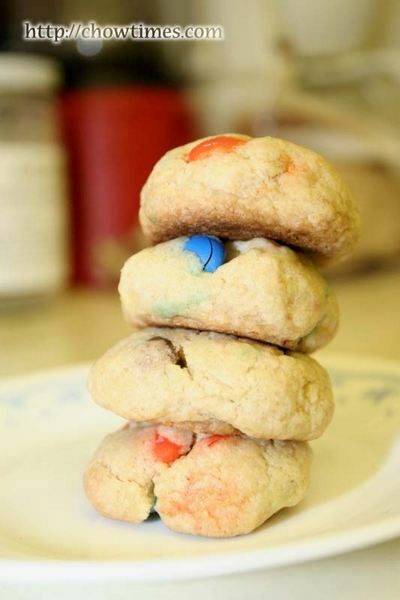 It makes baking cookies much simpler. 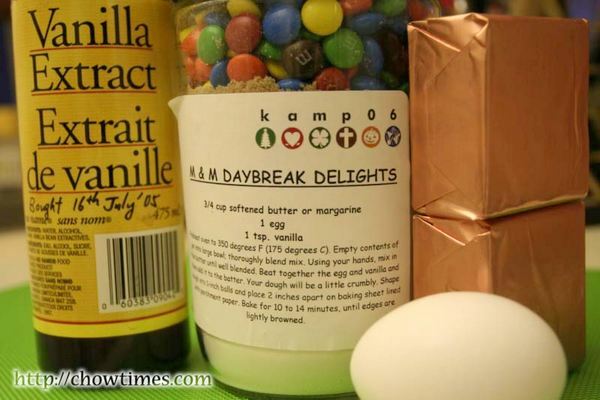 Most of the ingredients are already in the jar except for the butter, egg and vanilla or other liquid. Moreover, the instruction is on the jar too. You can Google for the phrase “cookie in a jar” and get recipes for the cookie mixes. Allie had been a good good friend of mine. Having stayed in Vancouver for a few years, she will be returning to Korea at end of this year. Before leaving, she invited Helen and I to her house for a authentic Korean homemade dinner. She showed us how to make Japchae, a very popular Korean noodle dish. The recipe is at the bottom of this blog entry. Allie also served some black rice which her husband brought all the way from Korea during his last visit. I have never see or heard of black rice until now. 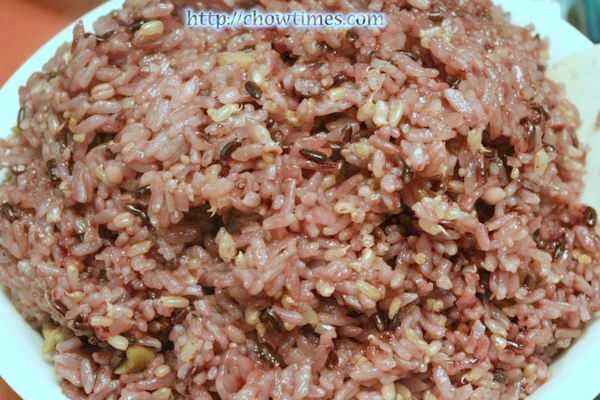 It tastes the same as the normal rice, looks different (of course) but have a rougher texture. It is known to have high nutritional value. 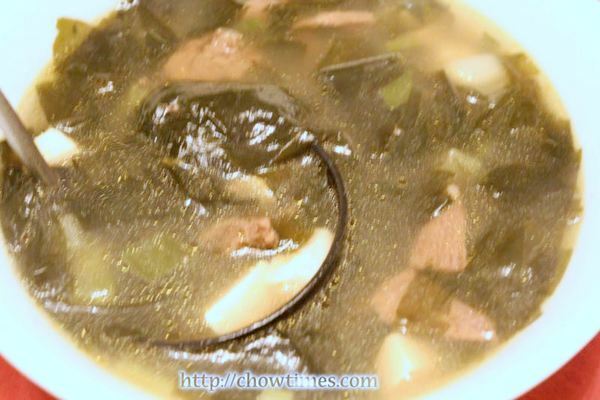 Allie also made a Seaweed Tofu Beef Soup. Allie told us that this is very popular among Korean ladies. It did not occur to me to ask her then why it is popular among ladies only. Any Korean reader here knows why? 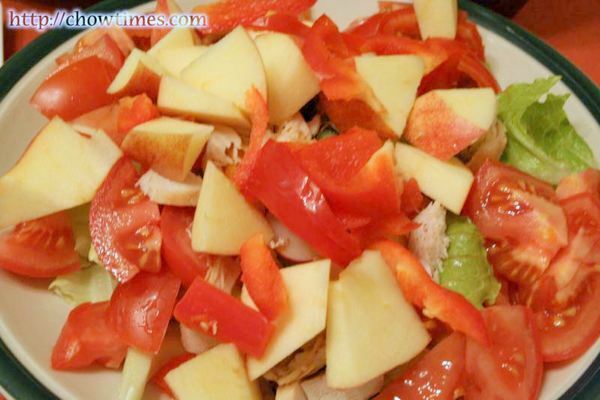 She also prepared an Apple, Tomato, Romaine and Chicken Salad. She used Balsamic Vinegar as dressing. The chicken used is roasted chicken. I like this, more because of the apples used in it. Lastly Allie prepared some “Thousand Year Eggs”. This is not Korean but Chinese. I love the Japchae the most. 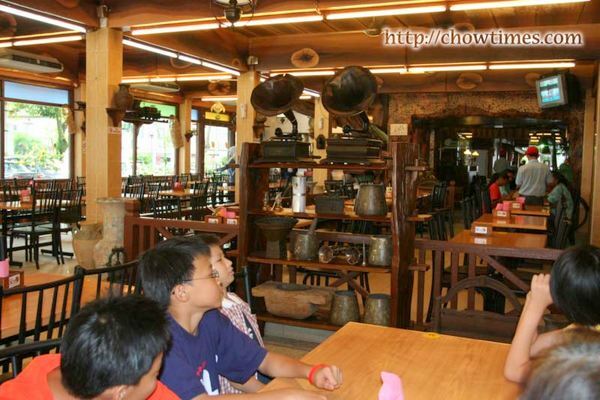 It is kind of similar to the Chinese Dry Glass Noodle except that it uses a sweet sauce. Korean dishes commonly uses corn syrup and sesame seed oil which gives that sweetness in the dishes. There is quite a bit of steps in making this but it is worth the work. Try it out. Despite her busy schedule preparing for the move home, she found the time to share this meal with us. I am going to miss having her around the neighborhood. 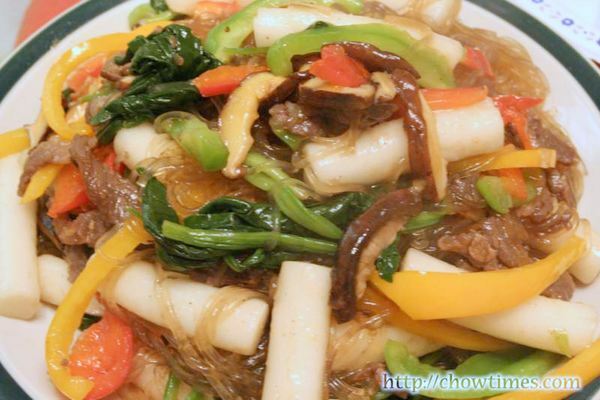 Here is the recipe for making Japchae. Please click on the link below for the instructions. Jenny commented on my previous blog asking what I made for the Potluck. Well, here it is. I made some Crispy Oatmeal Bars for the Caring Place Community Kitchen potluck. We’ve got very short notice on the potluck, just the day before the potluck. 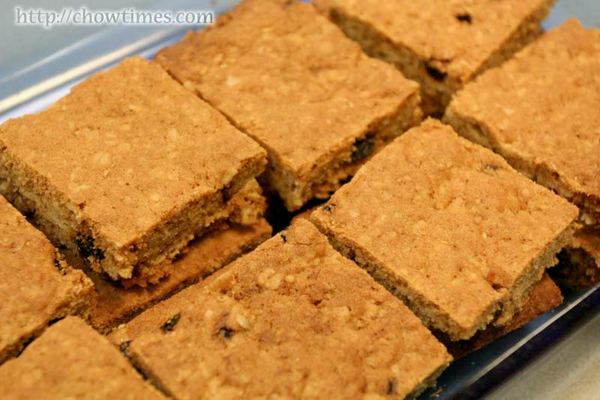 I had to look for a recipe which I can make without going out for last minute shopping and I found this Crispy Oatmeal Bars where I had all the ingredients on hand. It’s coming to the end of another year. 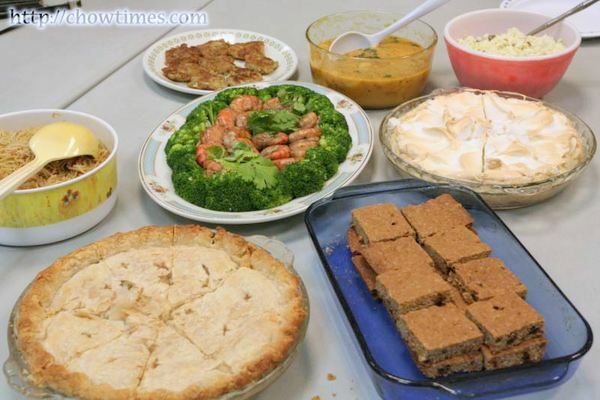 The Caring Place Community Kitchen ended this year’s sessions with a potluck. No cooking demonstration this time, just everyone coming with food to share. This is a small group but have one the strongest supporters. The numero uno and the assistant group leader of the entire Richmond Cooking Community Kitchen is from this group. 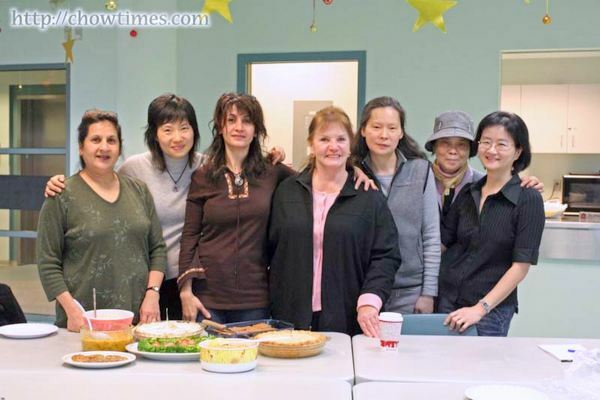 From left, Shaker, Angela, Minoo, Jean, Betty, Yvonne and me. Jean, who always cooks the most and creative dishes, made 3 dishes to share. I am always amazed with her ability to think of so many varied types of food to cook. Here is wishing everyone a very Merry Christmas. 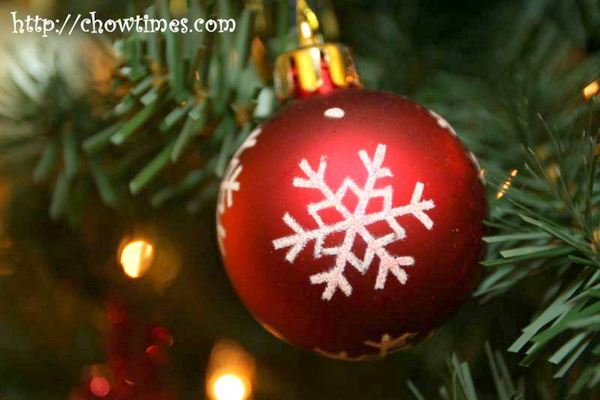 It’s indeed a time to enjoy the company of family and friends. A time for good food. It’s great to cap off a great year. For us, we want to keep Christ in Christmas. 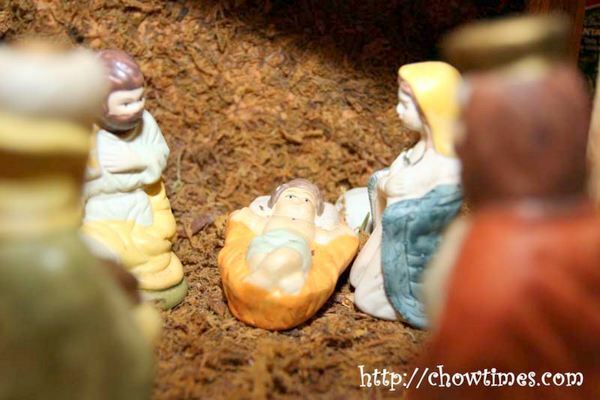 Christmas is about the birth of Jesus and the gift of God to all. Here’s a little something we want to share with everyone: MERRY CHRISTMAS! 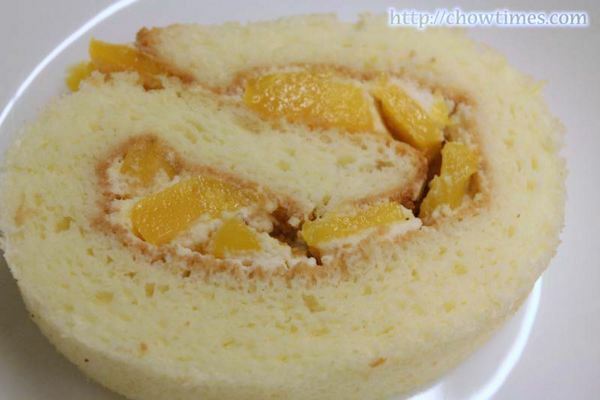 Here is the second of Juanna’s demonstration — the Mango Swiss Roll. Refer to my blog yesterday for making the sponge cake base. 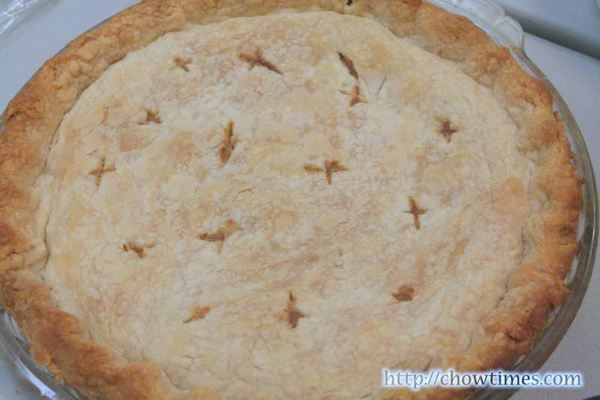 To make this, it is important to get ripe sweet mango for the filling. Unripe ones will produce a sourish cake. The Swiss Roll, done right, is a very soft and moist cake with the sweetness of the fruit. I like this because it is not overly sweet unlike others where the sweetness comes from the icing. I think you and your family will like this. Try it, it’s not hard to make. 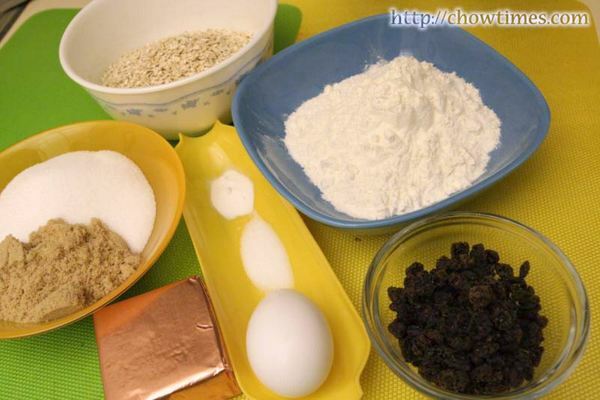 Refer to the Fresh Fruit Cake blog for the sponge cake base and cream ingredients. Click in the link below for the instructions. Juanna Zhou made two delicious cakes in the Gilmore Park Church Cooking Club meet. She made a Fresh Fruit Cake and a Mango Swiss Roll. 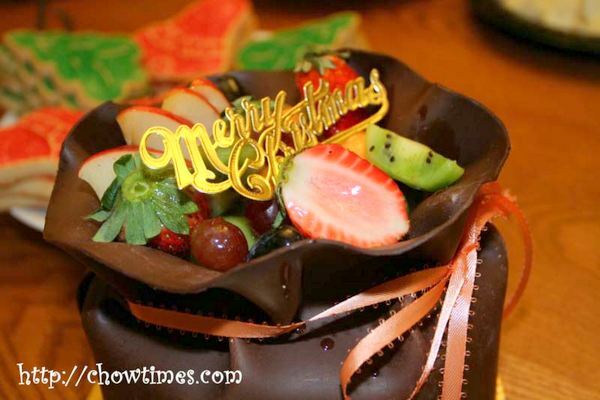 For this blog entry, I am blogging on her Fresh Fruit Cake. 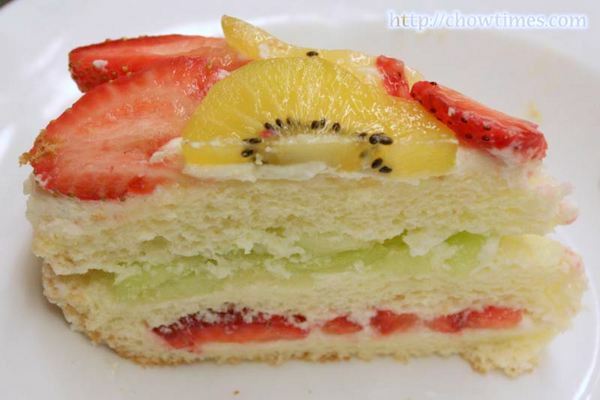 The Fresh Fruit Cake is a soft sponge cake and decorated with thin slices of fruits. 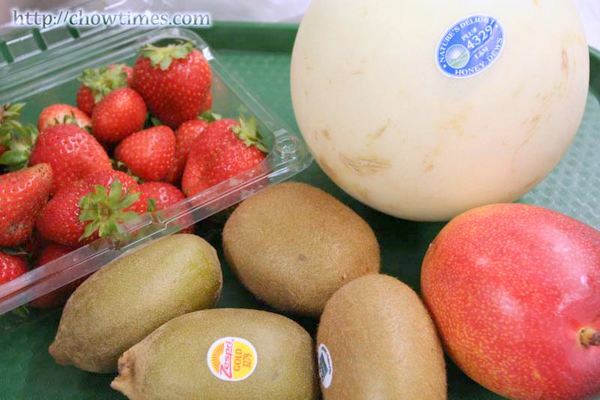 She used soft fruits like strawberries, kiwi fruit and cantaloupe. I think you can’t really use harder fruits like apples and pears for obvious reasons that it will be impossible to cut them. Moreover apples and pears can oxidize and turn brownish. The fresh fruit cake is pleasing to the eyes and palate. What else could you think of using for this? The Fresh Fruit Cake is very light and not overly sweet. A great cake for almost any occasion. Both the Fresh Fruit Cake and Swiss Roll use the same base. The base is a sponge cake. 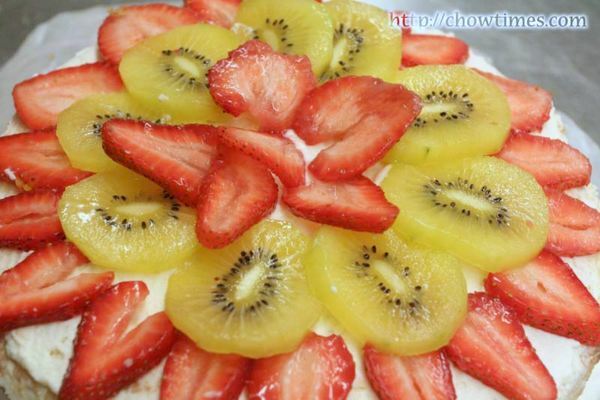 Here is the first recipe for the Fresh Fruit Cake.